Give your casual wardrobe a stylish lift with this shirt from Soie. 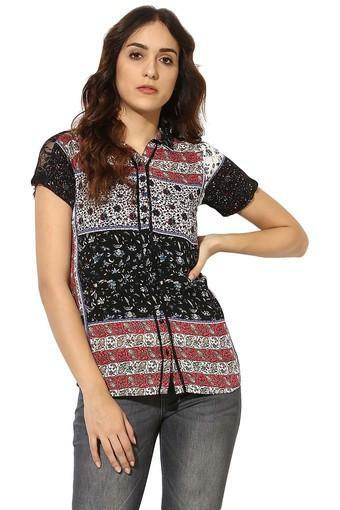 Fashioned using good quality fabric, this shirt will not fail to catch your fancy at a single glance. 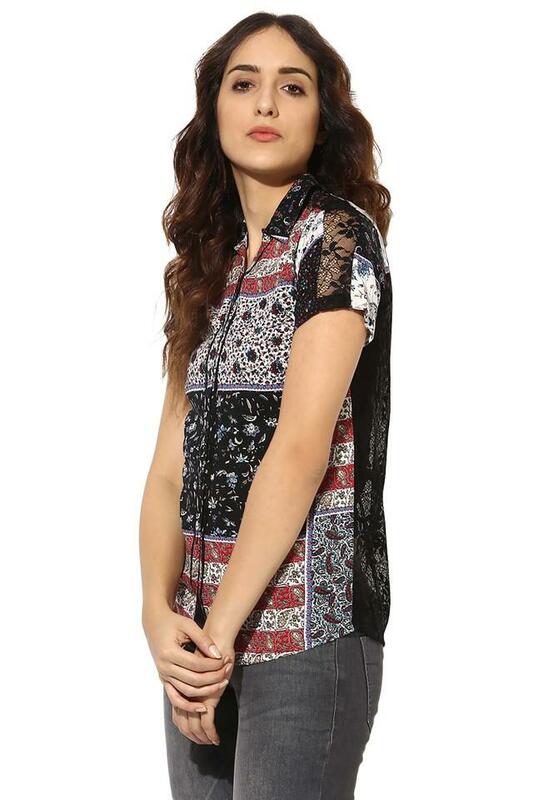 Featuring a beautiful collar, short sleeves and printed pattern, this shirt holds an elegant appeal. For women who priorities comfort, this shirt is a must-buy. 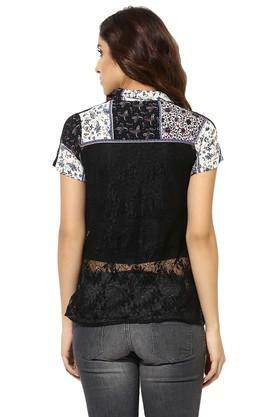 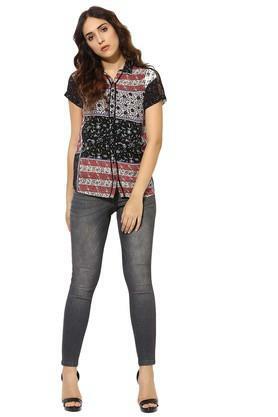 Team this shirt with a pair of distressed jeans and matching strappy sandals for a cool casual look.